NEWARK, N.J. (Legal Newsline) - A group of employees is suing Jackson Hewitt, alleging they were not properly paid over the last three years. Wanda Mardis, Kim Alexander, Cecilia Morris, Karla Dozier, Sheila Baker, Katrina Corbitt and Lenela Nichols, individually and for all others similarly situated, filed a class action lawsuit April 15 in U.S. District Court for the District of New Jersey against Jackson Hewitt Tax Services Inc., Jackson Hewitt Inc., Tax Services of America Inc., and Unknown Franchisees 1-100, alleging breach of contract, unjust enrichment, and violations of wage laws in Kentucky, Illinois and Tennessee. 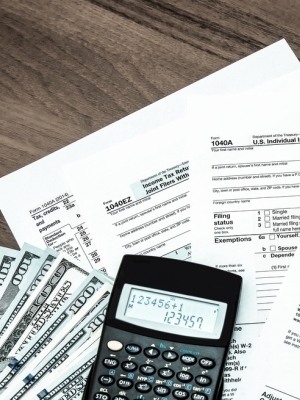 The plaintiffs are current or former tax preparers employed by the defendants. The suit alleges the defendants failed to pay these employees their contracted pay since 2013. In each of the last three years, the lawsuit states, the defendants required the plaintiffs to give out prepaid gift cards to customers who filed their taxes with the defendants. The defendants then improperly deducted the value of the prepaid gift cards from the gross revenues the plaintiff or class member had earned in commissions, the complaint says. The plaintiffs and others in the class seek a jury trial, damages, interest, attorney fees and costs. They are represented by attorneys Philip D. Stern and Andrew T. Thomasson of Stern Thomasson in Springfield, New Jersey, Gary E. Mason, John C. Whitfield and Caroline Taylor of Whitfield Bryson & Mason in Washington, D.C., and Nashville, Tennessee, and Robert W. Bishop, John S. Friend and Tyler Z. Korus of Bishop Korus Friend in Louisville, Kentucky.